The power struggle engulfing Viacom intensified on Thursday with a major shakeup of the company's board. Sumner Redstone's National Amusements, which owns 80% of Viacom's voting stock, announced that Viacom CEO Philipe Dauman, George S. Abrams, Blythe J. McGarvie, Frederic V. Salerno and William Schwartz would be removed and replaced from the board of directors. The purge is expected to be a prelude to ousting Dauman as CEO. National Amusements said in its announcement that although Dauman will remain the top executive, it will be the board's responsibility "to evaluate the current management team and take whatever steps it deems appropriate to ensure that Viacom has in place strong, independent and effective leadership." Wall Street reacted positively to the announcement. Viacom's stock rose roughly 5% in the wake of the news Thursday afternoon. The shakeup spurred more accusations that the 93-year-old Redstone is being manipulated by his daughter, Shari. Redstone's appointments were immediately challenged in court, according to Salerno, Viacom's lead independent director. "I am filing today a lawsuit in Delaware Chancery Court seeking an expedited determination that Ms. Redstone's attempted removal and replacement of Viacom directors is invalid and that the directors elected at the 2016 Annual Meeting continue to serve," Salerno said. 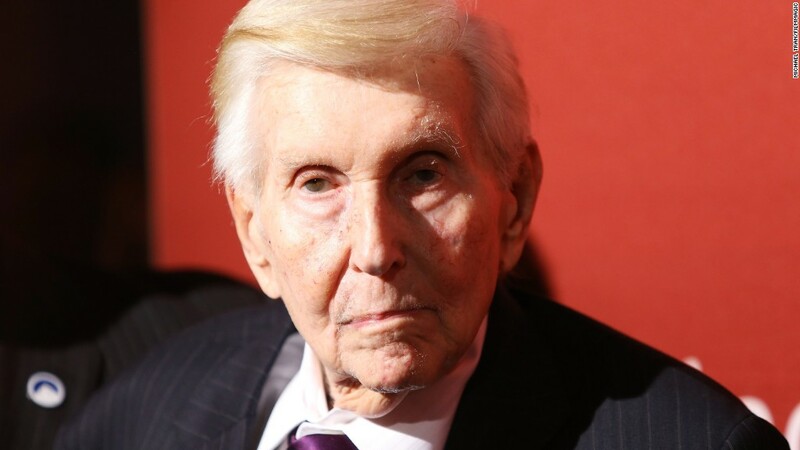 He decried the move as a "brazen and demonstrably invalid attempt by Ms. Redstone to gain control of Viacom and its management in disregard of Sumner Redstone's wishes and to undermine the current board's ability to represent the best interests of all of the stockholders of Viacom." "Sadly, it is now clear that Mr. Redstone is being manipulated and used by his daughter in an attempt to accomplish her long-held goal of gaining complete control of Viacom," Salerno said. National Amusements announced that the five outgoing board directors will be replaced by Kenneth Lerer, Thomas J. May, Judith McHale, Ronald Nelson and Nicole Seligman. The biggest name on that list is likely Lerer, a co-founder of The Huffington Post who currently serves as chairman of BuzzFeed. Before the changes take effect, they will have to be affirmed by the Delaware Court of Chancery. Dauman and Abrams filed a lawsuit last month after they were ousted from the trust that will control Viacom (VIA)and CBS (CBS) once Redstone dies or is incapacitated. The two plaintiffs say that Shari Redstone is "isolating" her ailing father, and have called for Sumner Redstone to submit to an immediate medical examination. Redstone's representatives and attorneys assert that he does have the mental capacity to oversee his media empire, and that he has lost faith in Dauman and Abrams. One source of consternation, according to the Redstone camp, is Dauman's intention to sell a stake in Paramount Pictures. Last week, National Amusements changed Viacom's bylaws to require unanimous approval from Viacom's board before completing a Paramount sale. Despite that, Dauman is moving forward with a sale, which he said would add $10 to Viacom's stock price. Redstone's representatives say that he is vigorously opposed to a deal. In an email sent this week to Salerno, Viacom's lead independent director, Redstone said, "I no longer trust Philippe or those who support him."